When Siri was first released for the iPhone 4S it left many people wondering if Apple would release Siri for older generation iOS devices. Now, a few months later it has become obvious that Apple will not be releasing Siri for older generation iOS devices and thus it is up to the Jailbreaking community to develop a suitable alternative. Then you will be glad to know that in this how to guide from iJailbreak.com you will learn how to install the SARA tweak through Cydia and even install the SARA Cydia tweak manually in case you have troubles downloading the tweak (due to server restraints). Note: The SARA Cydia tweak does not natively integrate with your iOS device at this time (it is an application that must be launched from your SpringBoard). Additionally, for all of you wondering, the SARA Cydia tweak is based on Spire and uses a 3rd party server for most requests. This means that there is a possibility your personal information sent through Siri could be being logged (even though the author notes no information will ever be logged). Use SARA at your own risk. Step 1) – The first thing you will need to do is Jailbreak your iPhone, iPod Touch or iPad running the iOS 5.0 or iOS 5.0.1 firmware. 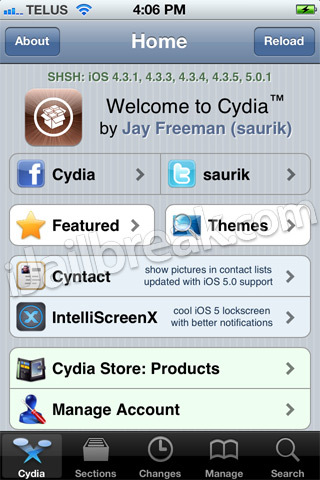 For more information on how to Jailbreak your iOS device please go to iJailbreak’s How To Jailbreak Section. Step 3) – When the source has been added into your repository list, click on it and you will see three packages. Please install the package that corresponds to the iOS device you are trying to install SARA to. Note: The Console package is only for submitting error reports to the developer of SARA. Step 4) – Once you have installed SARA to your iPhone, iPod Touch or iPad you will notice a SARA icon on your SpringBoard (homescreen). Prerequisite: You must have the afc2add Cydia package installed on your iPhone, iPod Touch or iPad before continuing the steps to manually install the SARA Cydia tweak. Step 1) – Like always for installing any sort of 3rd party software the first thing you will need to do is Jailbreak your iPhone, iPod Touch or iPad running the iOS 5.0 or iOS 5.0.1 firmware. 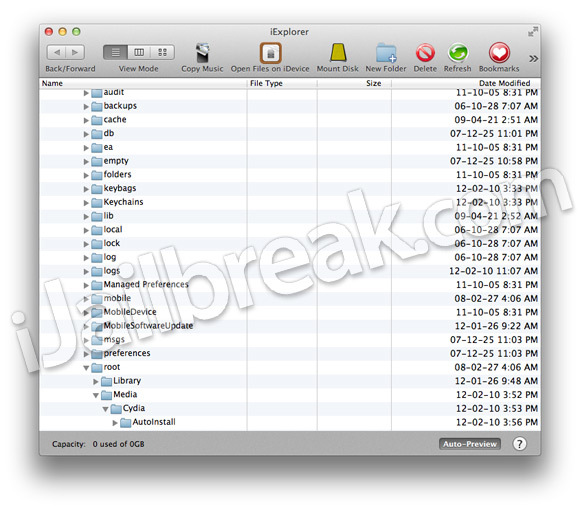 For more information on how to Jailbreak your iOS Device please go to iJailbreak’s How To Jailbreak Section. Step 2) – Next you will need to download a file-system editor program for your Windows or Mac OS X computer. We recommend a program called iExplorer, which can be downloaded by clicking here. The last file you will need to download is the SARA.deb 0.3 file. This can be downloaded by clicking here. Note: When you get to the Media folder you may not see a Cydia folder. If this is the case for you then you will need to create a folder dubbed Cydia and then another folder inside the Cydia folder dubbed AutoInstall. Step 4) – When you are in the directory shown above you will need to drop the SARA.deb file you downloaded earlier into the AutoInstall folder. Step 5) – When the file has finished transferring you will simply need to reboot your iOS device twice and then you should notice a SARA icon on your SpringBoard (homescreen). Is that a Siri Proxy for Spire? This Sara is horrible. Doesn’t understand ANY of my words. Just keeps displaying “….” I’m deleting it right now. Nice try though. on 3gs it’s not rsponding and the download time was 3-4 hours…. Do I need to uninstall spire first ? Too bad you didn’t read before posting a comment. This is based in a different country and doesn’t use the same certificate as siriport. According to their Facebook the Sara guys have been working on servers. I downloaded it (less than 10 mb!) and it good! Not as good as Siri and Spire but it kind of learns. And its free! It also opens apps. Can also be installed thru MyFile. Transfer .deb file to iPhone via sftp then use on phone us MyFile to find then install. Easier than pie. It works for me, I downloaded it via cydia. Got it installed on my iPod 2g but it does not start. When I click on SARA icon, he screen blacked out for 5 sec. and back to my springboard. Anyone get Sara to work on iPod 2G ? I have tried it and i am using it for 5 days now. It works like a charm..It opens up apps, messages, phone, music, take a photo, tells the accurate weather as well for the present day as well as for the week..
Really good work by the developer.. It is just that the server needs to be fed with a lot more commands and questions (just like Siri).. For that the developer needs to feed in the commands and i am sure the work is going on..
We all should donate some amount of money as this thing is best possible alternative to Siri and it will become a success.. I am going to donate some amount for the server..
Go to settings of Sara and change the details – ur name, etc..
follow me on twitter and will reply to ur posts.. Does it work on 4.3.3 fw ? I did download it but it dont work. Also what is that : RSS feed? And PC ip? Yeah but, do you need to uninstall Spire incase of conflict? I believe that’s what Max and I are saying. Went to install Sara 0.21 and installed fine. Didn’t give me a choice of versions (iPhone 4/3GS/2G or iPad/iPod Touch) It just said Sara 0.21. Tried to run Sara and all it does is put out a black screen for about 5 seconds and then returns to home screen. Any suggestions? Running iOS 5.0.1 on Verizon iPhone 4 by the way. i am not getting the option to pick what phone i am using it gives me srar 0.2.1-build, sara sdk 0.1, saradictation activator and saradictation keyboard, help !!! Tested SARA. This is very interesting program. Love it. this is good but the best tweak every!!!!!!!!! i am not getting the choice to choose what cellphone i am using it gives me srar 0.2.1-build. Can’t add any proxy server to get responses. It won’t show up in settings! doest show anything on the screen. i can not get sara to work on my iphone 2g with that same operating system…. I installed Sara fine, and i got two icons on my springboard. one is the Sara icon and the other says Sara Location Notify. And she only understands me half the time. Can anybody help me fix this. im getting the same!! did you know how to fix it? Please send me a copy of Sara.deb, all the links are dead. Please send me a copy of Sara.deb, all the links are dead, please please. Hi, i am not able to properly use de app, it opens but does nothing, could you help me? will it work on ios 7.1.2 ?????? Another link for SARA.deb?? This one’s broken!! !